The Institute for the Future, IFTF, is a California–based think tank founded in 1968 to help organizations execute long-term plans for the future. Today, the Institute launches research programs in technology, health, and organization policy. They publish a variety of reports and maps, as well host a blog discussing emerging technologies. The clients of the Institute for the Future are primarily Fortune 500 companies and governments. 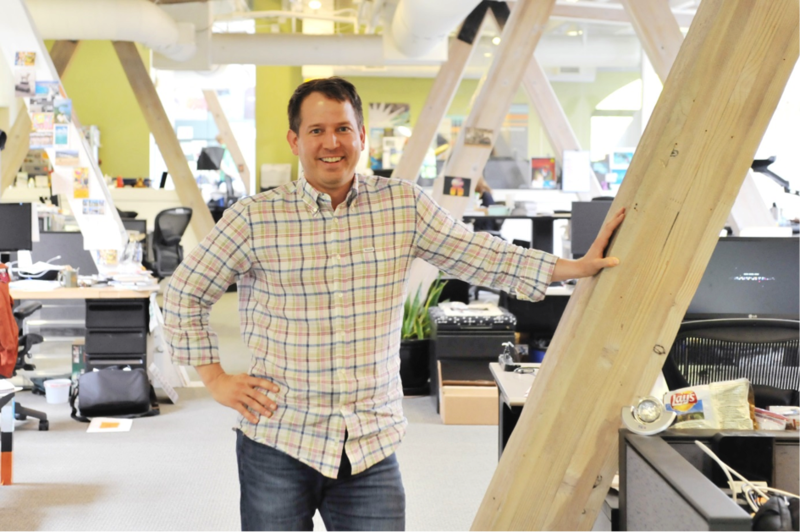 Sean Ness oversees business development at IFTF, with a focus on the Technology Horizons and Ten-Year Forecast programs. Following his participation to the Digital Festival “Futur en Seine” in Paris last June, we caught up with him for an interview where he shared his thoughts about Smart Cities and the Maker Faire movement. Prime: Hello Sean, can you present to us The Institute for the Future its history, mission, objectives and accomplishments? Sean Ness: Institute for the Future is a research organization based in Silicon Valley with a 45-year track record of helping all kinds of organizations strategize and prepare for a better future. A lot of our early work focused on how to predict the way Apranet would be used in the future. Our core research staff is mainly composed of social scientists, people who understand human conditions, like economists, anthropologists or sociologists. Our mission is to be a thought leader and provide organizations with strategic planning for the future. Most organizations don’t plan beyond three years, we try to complement that with projections that go beyond their horizon. We also complement them because they tend to look to the inside out and we look from the outside. Prime: Can you explain us what is the “Foresight Toolkit”. If you apply it to the future of the Cities, what will be the big challenges for the cities ? Sean Ness: The foresight Toolkit is a collection of all the different methodologies that we use to think about for the future. The components of the foresight toolkit that we use to look at the Maker City utilizes a combination of three elements. First is ethnography, with the work of people travelling around the world to identify locations, which are maker cities. We try to understand what the maker mindset is for the local area. Secondly, the online experience known as makercities.net allows us to bring people together who wish to talk about the topic and share different visions of the future. Thirdly, we also work with professionals who have “city” expertise. Big corporations lead city programs like they do when running a business. Still, Cities have different goals and mindsets, and they work with different processes than most typical clients. For example, in a city, you cannot introduce a new technology to select neighborhoods, without having some prior understanding with the local municipal regulations. This concept can stretch the imagination. The second challenge is that Humans do not necessarily use technology as you think they would. We must not be surprised when technology gets distributed to a community and is used in a different context by the local residents. Prime: How would you compare the Maker Fair and Futur en Seine? Sean Ness: Maker Fair and Futur en Seine have a really similar nature with an emphasis on computing, software, 3D printing, and robotics and so on. Still, I would like to say that an overabundance of ideas, technologies and start-up focused on the present and not on the future. If we take the example of parking, it is a critical thing for cities, yet I would suggest that 10 or 15 years from now, parking won’t be a concern for anybody. Actually vehicles are becoming more and more autonomous and they will probably be able to remotely and automatically park themselves in the future. Governments are dealing with this right now, we give all our data to Facebook and our location to phone companies. Humans are really good at giving away their data, and governments are looking at these data to take advantage it. Prime: After this learning expedition, concerning smart cities, what are the strength and weakness of Silicon Valley ? Of Paris ? Sean Ness: I am not an expert of Paris, neither of the Silicon Valley, but I would say that some of the strengths of the Silicon Valley is to have access to talented people, angels investors and venture capital. We also have a great weather which is often a driver for people who want to come here, and you have access to many activities like skiing, camping, ocean activities and the nearby wine country. I think that the most critical difference with Paris is the acceptance of failure. Failing is a badge of honor in Silicon Valley. Take a risk, fail and learn from your failure. You need to fail early and fail cheaply. Entrepreneurship and innovation is like learning how to ride a bicycle: if you do not fall, you are not pushing the envelope enough and you won’t win. This fearless approach to failure thrives in places like Silicon Valley.